Christchurch's Salad Boys have just released a video for "First Eight", one of the excellent songs on their new LP (our review here) Metalmania. Of course, Metalmania is not metal, but rather the sort of intelligent, jangling New Zealand indie rock. For those of you who don't have the album yet, here is your reminder. And for everyone, the remaining US tour dates are listed at the bottom of the post. I first discovered the music of Clearance a few years ago after founding members Mike Bellis and Arthur Velez had moved from Ann Arbor to Chicago and posted their bedroom recordings on Bandcamp. I was first attracted by the quality songwriting and jangling instrumentation. Mike (guitar/vocals) and Arthur (drums) have since been joined by Kevin Fairbairn (guitar) and Greg Obis (drums), and have continued to hone their sound. Owning in part to Mike's vocals, Pavement often is suggested as an influence, but to my ears their is a strong connection with Australian slacker pop and New Zealand jangle, as well as American standards Velvet Underground and Television. Clearance's first LP is available today and I recommend it to anyone for whom that list of potential influences strikes a chord. In fact, I'll broaden that: I recommend it to anyone who likes the sound of two guitars knocking out chunky riffs while the bass and drums drive along perfectly constructed pop rock songs -- which probably includes every one of our 3 million plus (unaudited estimate) regular readers. These guys love to make noise, and they do make noise. But they never forget that the goal is the delivery of a good tune. And as evidenced by songs such as "No Glance You Took" and "Flowers In Epoxy", the band can dial it back for a more relaxed approach as well. If you like '90s alternative slacker rock and college rock with a Antipodean sheen, Rapid Rewards is just what you need for your fall soundtrack. I've been playing it several times a day all week and it is great stuff. The Academic is Craig Fitzgerald, Matt Murtagh, Stephen Murtagh, and Dean Gavin. From Mullingar, Ireland, the band is earning a following via well-received live shows and a radio hit. Their latest is "Northern Boy". The young men have a good sound, and we will be following their progress. Last year Copenhagen trio Lust For Youth released International, which shifted from their prior synth-based bedroom pop to a bid for a spot on the club soundtracks. They return again with the rousing anthem "Better Looking Brother", which is a digital only release on Sacred Bones Records. It seems to me that there is a bit of New Order and Pet Shop Boys in their DNA, and that's a good thing to have. Lust For Youth is Hannes Norrvide, Malthe Fischer & Loke Rahbek. Their fall European tour dates are listed at the bottom of this post. A little know piece of pop music history is that at one point Husker Du, Guided By Voices and early Teenage Fanclub met in an underground laboratory and created a three-piece band. They then put it in a time capsule pre-programed to disgorge the band in this decade. 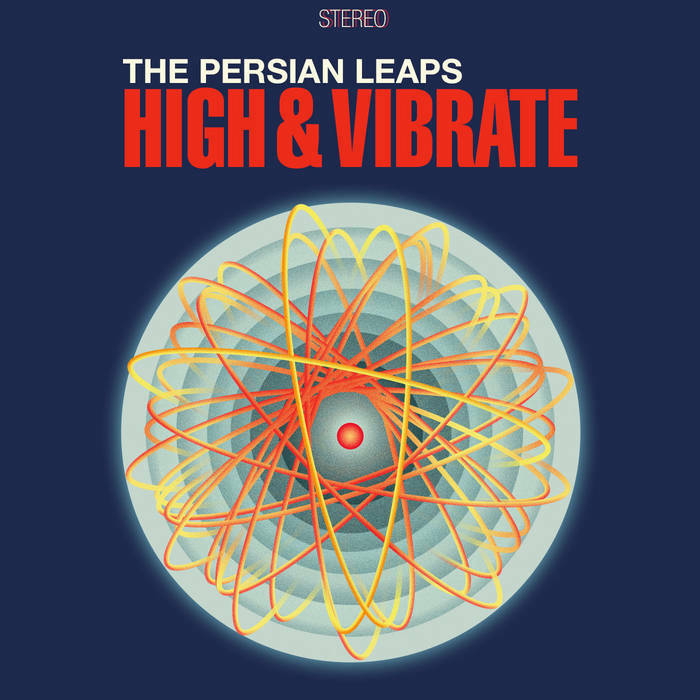 I can exclusively reveal that the band is St. Paul, Minnesota's The Persian Leaps. As you might expect given the circumstances of it's birth, TPL is guitar driven power pop and '90s alternative rock, with all the hooks and harmonies you could hope for and a rhythm section on steroids. High & Vibrate is the second EP from the band to be featured here, and based on its five song this is a band that just keeps getting sharper. The showcase track is "Dottie, Queen Of The West", and deservedly so. But "Frozen", "Anthem" and the others all carry their weight. Now, let me tell you something about life. In ten years you and your friends will be having a few drinks in someone's back yard. And eventually everyone will be telling lies about how they were fans of bands that are, at that point, recognized to have been the hidden treasures back in the day. One of those bands will assuredly be The Persian Leaps. And the cited evidence likely will include High & Vibrate. So, don't become a liar -- become a fan now, when it matters. And because you kindly have read this far, here is a Soundcloud link for free download of "Dottie, Queen Of The West". The Persian Leaps is Drew Forsberg (vocals/guitar), Adam Brunner (bass/vocals), and Michael McCloskey (drums/vocals). High & Vibrate is out Friday, September 25 on Land Ski Records. 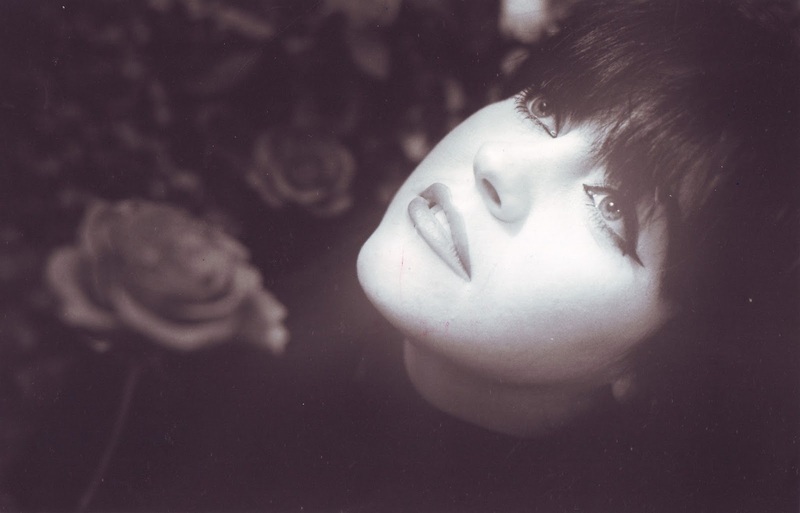 Rose McDowall attended university in Glasgow and played with the punk band The Poems. In 1981 she formed Strawberry Switchblade with her friend Jill Bryson. They earned a following, opened for Orange Juice and released a few singles and a self-titled album. Their sound was characterized by bright new wave melodies, sweet vocals and melancholy lyrics. Commercial success didn't reflect the quality of the material, however, and by 1986 the band was finished. But Rose wasn't finished with music. In 1988 and 1989 she recorded Cut With the Cake Knife, consisting of new material and songs that she had penned earlier but were left homeless when Strawberry Switchblade ended. The songs are sad, full of loss, disappointment and regret. But the melodies are captivating, bouncing along with synths and drum machines, and Rose's sugary voice soothes you like a warm cup of tea on a chilly morning. 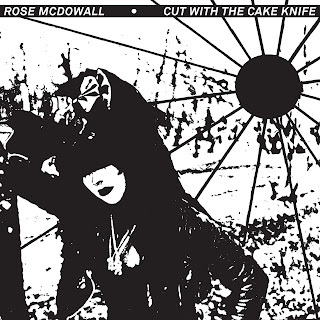 The album title's incorporation of "knife", "cut" and "cake" could not be more apt. Fortunately, the story doesn't end in '89. 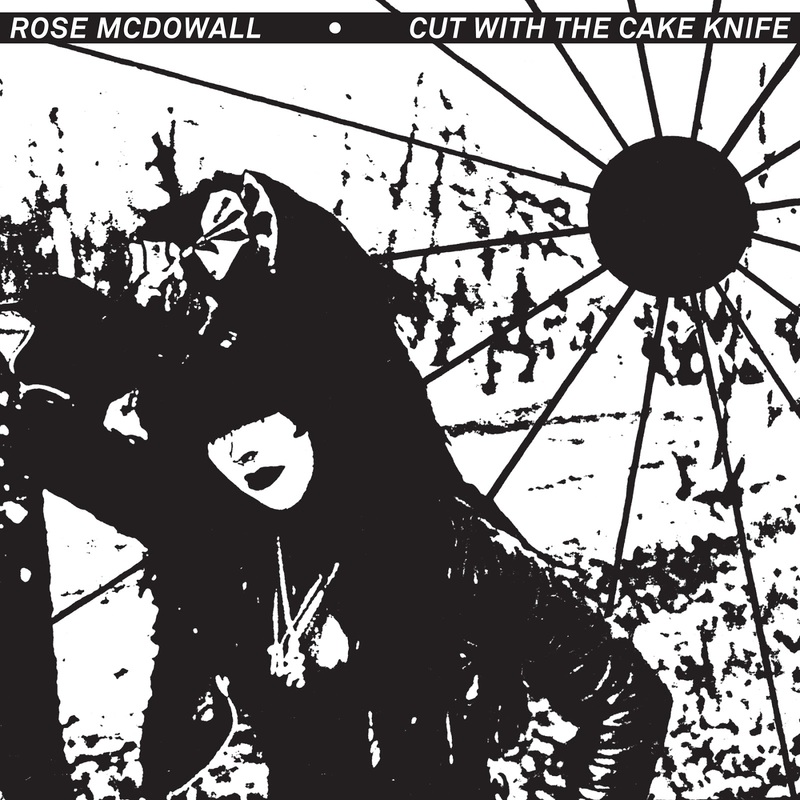 Night School Records has remastered the original tapes, added two bonus tracks, photos and extended liner notes by Rose, and reissued Cut With the Cake Knife. The release is by Sacred Bones in the United States. If you are a fan or Strawberry Switchblade or Rose's other projects, you likely will consider this a necessary purchase. For the rest of you I have one comment: If all new wave sounded as good as Cut With the Cake Knife, we'd all still be listening to new wave. Give your ears a piece of cake. Four dudes from the England venture to Scotland to study and form a band. Their names are Conor Quill, Robert Palmer, Thom Querns, and Tobias Carmichael. We don't know much more than that, so perhaps we should start some rumors. Like two of The Bellybuttons recently left the seminary after a scandal over the rapidly diminishing sacramental wine stores, a third was kicked out of the Ocean Fishing Academy for advocating harvesting fish without causing any pain to the fish. The fourth may or may not be a secret agent. So far as we know, the cute doggie in the picture below is an innocent bystander. Lack of details aside, The Bellybuttons deserve our attention. 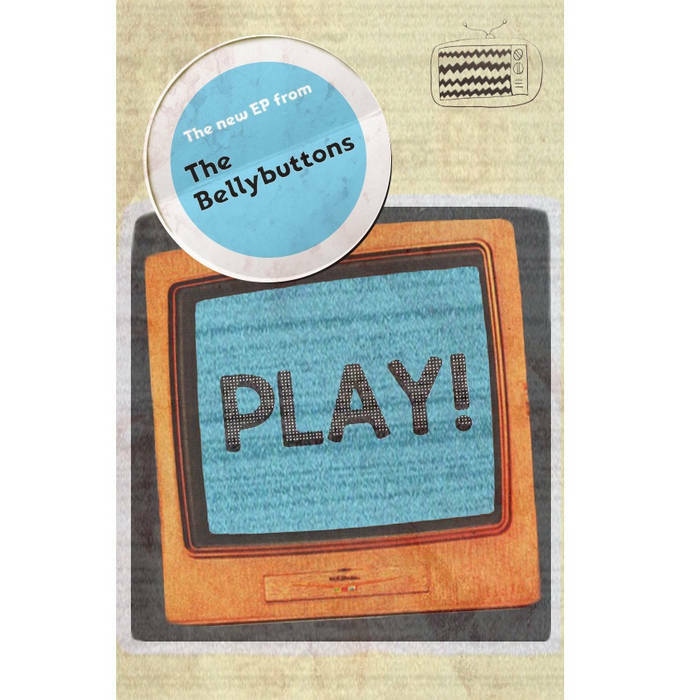 Their new EP, Play!, provides a generous seven tracks of really good guitar pop. With touchstones like Pavement, Lou Reed and Television, and then glazed with a Melbourne-esque slacker vibe, this little album goes down about as easily and pleasantly as your favorite summer beverage on a warm summer evening. Play! is out now via Fuzzkill Records as a digital download or cassette. To my knowledge, Fuzzkill has never had a weak release, but The Bellybuttons is a standout even among their impressive roster. I'd tell them but they probably know it. Pssssst. Hey, over here! Do you want to get a rock and roll album. How about an unabashed, unapologetic southern rock and roll with a vein of soul? I've got one right here. 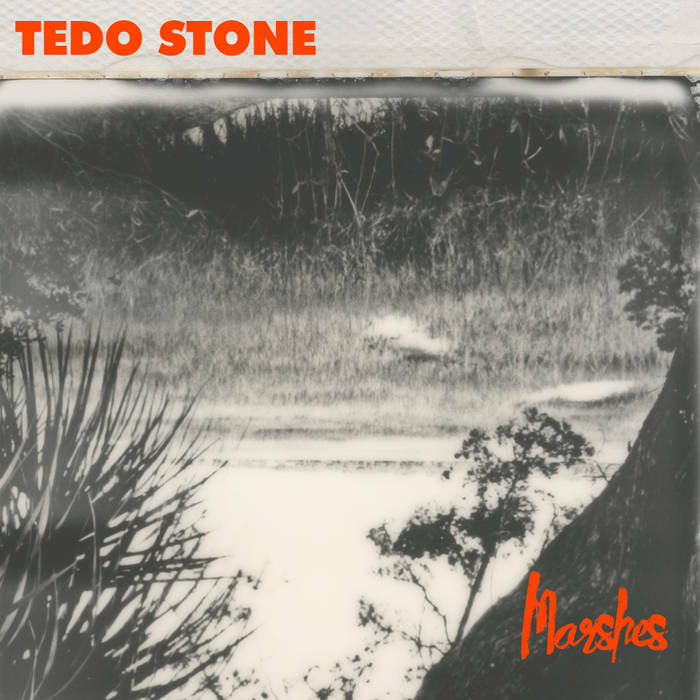 It's called Marshes, by Tedo Stone. Tedo is a Georgia boy who grew up around music and was fronting a band in Covington motorcycle bars when he was 12. While Marshes isn't his first recording (we reviewed his Good Go Bad in 2013), it seems that it is a bit of a coming out party in terms of scope and swagger. The sound is big, with pounding percussion and layered guitars. The vocals are '70s-style arena vocals with sincere emotion, a southern accent and, on several tracks, a good bit of soul. And even though it is an album born to rock, a few tracks, such as "Home To It", display a deft touch when dialing it back for a soulful croon. I have four great tracks streaming below, and you can check out the entire album at the Bandcamp link. Marshes is out now on This Is American Music in digital, CD and vinyl formats. Instant gratifications, folks. This is a great country, and Marshes is great American music. By the way, the band has ten shows scheduled for October and one for November. See the list at the bottom of the post. A few weeks ago we featured (link) by a song by a young Australian band named The Goon Sax which is fronted by a tall high school student named Louis Forster. We think you should be reminded that young Louis is not the only musically inclined Forster. In fact, his father, Robert, is that Robert Forster. Yes, Robert Forster of legendary Australian band The Go-Betweens. Although in the wake of the death of Go-Betweens partner Grant McLennan Forster no long records under that name, he still writes and performs under his own name (in addition to producing and writing about music). He latest effort is Songs To Play, which was released last week by German label Tapete Records. While I'm not one of the music journalists on Tapete's distribution list and thus haven't had a copy of the album to digest, I have heard a stream of the album. I'm pleased to report that Forster retains his deft touch in songwriting. The melodies are simple but memorable, the rhythms compelling and lively, and the lyrics incisive and expressive. Of course, any fan of The Go-Betweens will want to check out this release, but I submit that any indie music fan could find a good deal to like here. I don't normally link to other sites, but you can stream the album here. Forster self-produced Songs to Play with Scott Bramley and Luke McDonald of The John Steel Singers, whose work Forster has produced in the past. Scott and Luke also play on the album, as does Matt Piele and Karin Baumler. Sunday mornings demand something special, and we have a really good one. American psychedelic country from The Wanda Junes. TWJs hail from the Southwest desert town of Tucson, Arizona, and the location seems to have seeped into their psyches and emanates from their fingers and voices. On Hi-Fi Record Album, their new record for Emotional Response, the melodies tend to b relaxed and the instrumentation generally restrained, although album opener "Grand River Saloon" rocks with full effect. But the emotions are really and ably expressed. And as Allison warns a lover who treated her badly in "Two Birds", she can't wait to piss on his grave. Of course, this music would best be experienced in a roadhouse with a strong beverage and your own memories for company, but I can't make that happen for you. But you can supply the beverage and the memories won't go away, so if you send a meager $6.50 to Emotional Response, label bosses Stew and Jen will send you a soundtrack to your tears. And that will make you happy. The Wanda Junes are Jeff Henderson, Thom Plasse, Bobby Carlson, Adam Frumhoff, Karima Walker, Nathan Fenoglio, and Allison McGillivray.